“I always thought when choosing a university it was just a matter of deciding on location, size, classes, and so forth. 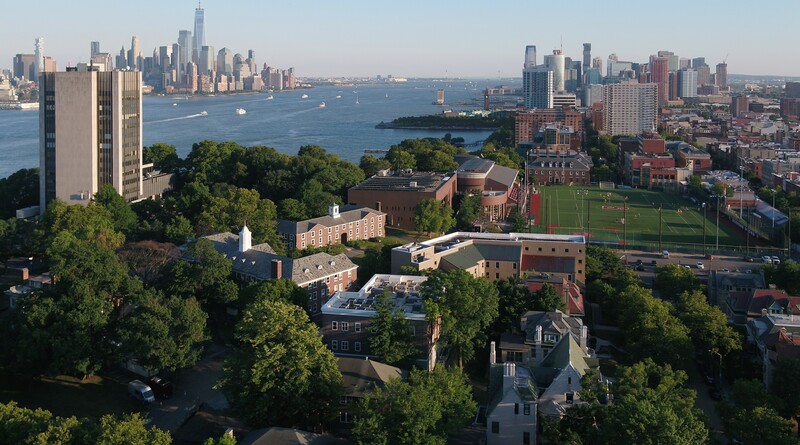 But after five years at Stevens, my take is that there is something very unique about the community here,” says senior Ryan Bertani about his undergraduate education at Stevens Institute of Technology. After graduation in May, the civil engineering major will begin a full-time position with HDR, one of the world’s leading engineering consulting firms, working in the area of green infrastructure, stormwater management and roadway design. Bertani came to Stevens intent on gaining work experience while pursuing his undergraduate degree. He enrolled in the Stevens Co-operative Education Program, alternating between semesters of full-time study and full-time work in areas related to his major. He initially set out to become a structural engineer, thinking he would work on highway and bridge design projects. But all that changed as he delved deeper into careers through his co-op experiences. Bertani’s first co-op gave him the up-close exposure to civil engineering that he was seeking. At GPI, an engineering and construction services firm in Lebanon, New Jersey, he worked on projects related to highway engineering. He is grateful to GPI for giving him his first real-world experience in the field. He followed with a co-op at PCL Construction, working as a field engineer intern, answering requests for information from contractors for mechanical, electrical, plumbing (MEP) equipment on site. The game-changer for Bertani happened when he landed at HDR. He discovered a new career path while working on rain gardens, urban green spaces, permeable pavement design and more in the company’s Manhattan office. He recalls being taken aback by the freedom and responsibility that came with his assignments. So impressed were his supervisors at HDR that they invited him back for an internship, and later followed with a full-time offer to join the company after graduation. He credits Stevens Co-op for helping him discover what he wanted to do — and, just as importantly, what he didn’t want to do. The ability to weave work and study was instrumental in putting him on his career path, he says. His exposure to green infrastructure at HDR led Bertani to focus his studies in the subject when he returned to campus. Dr. Fassman-Beck is one of the world's leading experts on green roofs and urban stormwater management. She oversees the “Living Laboratory” at Stevens, a research site that hosts a rain garden, multiple bioretention planters and multiple green roof setups that comprise different forms of urban bioretention solutions. Additionally, Bertani is a member of the RainWorks senior design team. He and two other seniors are building upon a Stevens stormwater-containment plan to help flood-prone cities like Hoboken create a flood-control infrastructure. Their design will be presented at the Annual Innovation Expo on campus May 2. Bertani is currently working part-time at HDR and will begin full-time in July. In the meantime, he is preparing to take the Fundamentals of Engineering exam, the first step towards becoming a professional licensed engineer. Outside of work and academics, Bertani is a proud member of Lamda Upsilon Lamda Fraternity, Inc., a small close-knit multicultural fraternity that includes many first generation college students, including Bertani. To learn more about Stevens Co-op Program, visit stevens.edu/co-op.